sallycootie you have won a basket filled with Cajun Goodies, including good Cajun Coffee, a nice coffee mug and other southern treats! sallycootie you have won a kindle download of RUARC: BOUND BY STONE the first in Joan’s Guardian Isle series. Carina you have won a kindle copy of Catherine’s medieval Christmas novella One Knight Under the Mistletoe. ALL WINNERS HAVE 24 hours to comment on this post and if not claimed then a new winner will be selected. I’ll be featuring a few novellas every day until release day on November 22nd. Just two more days until you can catch up with characters and authors you know and love, or discover for the first time. Be sure to check out the great giveaways daily and comment for a chance to win. Days before Christmas, Lady Honoria Whitford buys a book at the market to add to her prized collection. 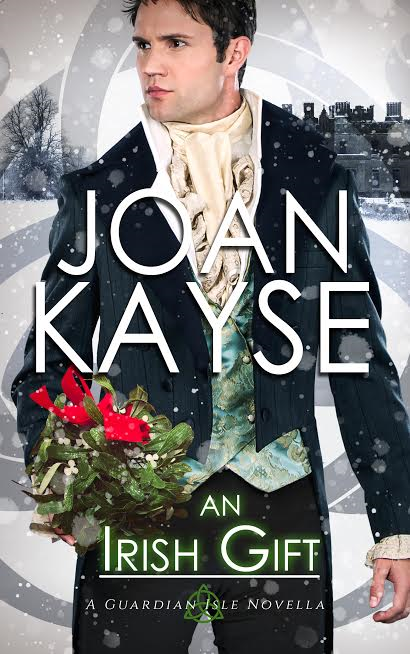 Lord Tristan de Champagne, her brother’s best friend who will be spending the holidays with them, is Intrigued by her love of romantic tales but resents how enchanting he finds her, for he’s vowed never to risk his heart again. As Christmas mischief under the Kissing Bough unfolds, so does the secret of the book—one destined to bring great peril but also ever-after love. 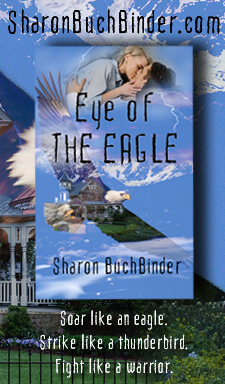 Lady Honoria Whitford loves to read and when she acquires an old book, her life will change forever. From her chance encounter with Tristan de Champagne, a friend of her brothers, a real life adventure will begin for Honoria. One filled with deceit, secrets and sabotage. An added measure of desire and longing will round out this delightful story. There is nothing more exciting at the holidays than a romance anthology filled with magic, mistletoe and adventure.Will Honoria have a happy ending with the fair Knight? Tartan Bows and Mistletoe by Sandy Blair is a story woven with family expectations, the importance of money, and the ability to know when to speak out. John Colin is in need of funds and he must find a way to save himself. When he meets Olivia Conor, he will have a change of heart and discover that sometimes love, lore and magic are the only thing worth pursuing. …He did seem to care about his body, she noted. He had wide, broad shoulders that tapered to narrow hips. She imagined that his flat stomach would be firm and toned. Whether he worked to achieve that lean, healthy body because of vanity, the pleasure of working out, or for necessity because his job required it, she didn’t know. She also didn’t know why, when she’d seen thousands of male bodies before, his made her pulse increase. Maybe it was because he wasn’t on an examining table and she wasn’t his doctor. 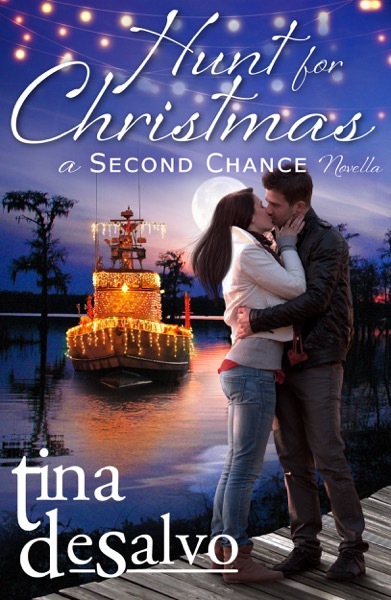 “I need to talk to you about the Fa La La Cajun Christmas on the Bayou Celebration,” she said, shifting in the rocker to fully face him. He stood, walked down the stairs and sat on the second step. His response was to pick up a pair of running shoes, knocking them upside down against one another, before putting them on his bare feet. She moved to stand directly in front of him. “It’s quite a serious matter.” He looked at her tapping foot and smiled. Heat rushed into her cheeks. She hadn’t even realized she was doing it. She pressed her foot soundly to the ground. “You’re wound up with too much energy, Doc.” He tied his shoes in a slow easy manner. “Let’s go for a walk.” He stood. 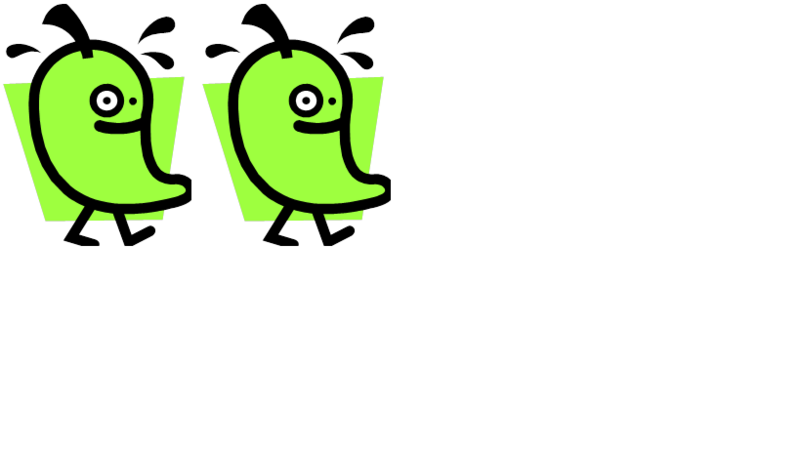 She joined him as he started to walk away. Her phone dinged in her back pocket as she reached Hunter’s side. She read her text – it was from Edward. Do you want me to come to the island to assist you? Her phone dinged again. Another text. It was from her mother: Don’t let Edward go to the island. You’ll have a better chance to convince Hunt to change his mind if it’s just the two of you. We’ve met him. He’s safe. You won’t need your papa’s gun from the boat just in case you were thinking about that. Don’t forget to finger-comb your hair. And then there was a third text from her older sister, Sarah: He’s really handsome. Smile a lot and don’t shoot him. She’d been home for less than an hour and her family was already trying to tell her what to do and play matchmaker. Both reasons why she’d left in the first place. “There are always things to do,” she repeated his words. He laughed softly. “I have a thing to do right now,” she said, directing the conversation to the purpose of her visit. “To discuss the under-appreciation of tradition,” she replied. It’s time to head to the Bayou and celebrate Christmas. Discover what happens when Christmas is threatened and a stranger attempts to ruin Christmas. When one family try to intervene they will have to change the way the earn their living during the holiday season. Traditions will have to change and hearts will be broken. As with most things, change is never easy and love hurts now matter how invested your heart is in the relationship. Will Camille find holiday joy this year with a new man in town? Kick off your shoes, put a fresh pot of coffee on and relax. Good things truly come to those who have patience. 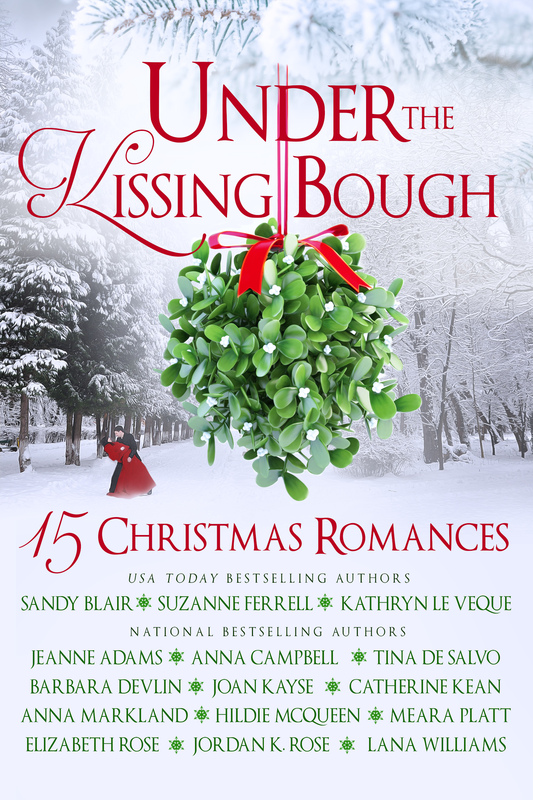 Happy Holidays and thank you for inviting the authors of Under the Kissing Bough Christmas Collection to your wonderful site—I Love Books a Latte, too! I am so humbled to be with so many amazing authors writing novellas for this collection, and can’t wait to read their stories. That’s because I’m a fan of the authors and because I love Christmas books a Latte! I confess, I marathon read Christmas books, marathon watch Christmas movies and will fight little old ladies for the last Christmas book sold on a shelf. Although I’m exaggerating (a little!) on how obsessed I am over Christmas tales, I am sincere in telling you that I adore Christmas stories because they are the very best telling of hope, optimism, joy and love. I hope my story, Hunt for Christmas, is all of those things to readers. Leithprachaun warrior Killian revels in the joy, love, laughter and good craic of life. After all, that’s the treasure he’s been given to protect, the one ingrained within his very soul. But centuries ago, a vengeful Banshee queen cursed his clan and stole all of the vital essences that bind the mortal and Fae worlds. Killian is a warrior, and maintains a façade of good nature and enthusiasm while he battles increasing despair that threatens his soul. He needs an anchor and finds it in an unlikely place. Kathryn Smithfield is just the type of female Killian could see himself bonding with. Kind, gracious, full of spirit…and mortal. A flaw easy to overlook but he’s not so certain he can ignore the attraction she displays to his best friend, Colin Earl of Keshlea. A simple matter to persuade Kathryn of his superior attributes but Killian’s plans are derailed by an attack from dark forces intent on destroying both worlds. With help from his Leithprachaun clan, the enemy is defeated and he turns his attention back to the woman who holds his heart in her hands. But Leithprachaun’s are not the lucky sort. A seer reveals that the key to Killian recovering his treasure lies with the choice Kathryn makes under the Kissing Bough. As the clock strikes midnight, will Killian find the salvation he craves? Only time will tell. A holiday tale of magic, shifters, Leithprachaun’s and a little bit of holiday romance. Joan’s fans will rejoice with this tale just in time for the holidays. Joan Kayse loves writing stories that transport readers to other time periods and magical places that she fully believes exist. She lives in Louisville, Kentucky but wishes she could live in Ireland among the beauty and mystical wonders of that island..and the mead. (Ask her about how well she Irish dances :D) She shares her home and keyboard with two baby cats, Cricket Marie and Grayson the Monkey Cat. She believes in HEA and that Prince Charming could be right around the corner. Um, excuse her, while she peeks around the corner. ONE lucky winner will receive a basket filled with Cajun Goodies, including good Cajun Coffee, a nice coffee mug and other southern treats! 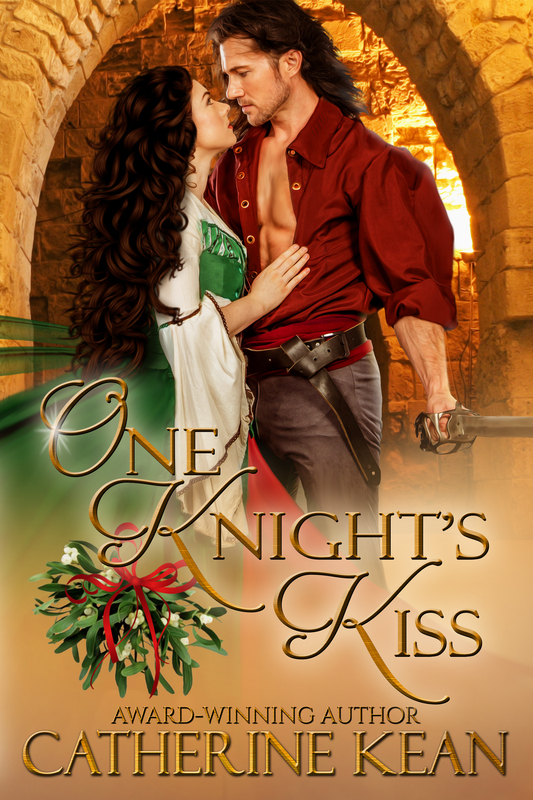 ONE lucky winner will receive a kindle copy of Catherine’s medieval Christmas novella One Knight Under the Mistletoe. ONE lucky winner will receive a Kindle download of RUARC: BOUND BY STONE the first in Joan’s Guardian Isle series. What is your favorite holiday movie? Do you have a theme that spans from the dinner served to the people you watch it with? Winner will be announced on this blog post on 11/22/16 sometime after 6:00 PM. Be sure to follow me the blog (link on homepage), Facebook Page (Books I Love A Latte Page) and Twitter @RaeLatte.